The small things we do impact the lives and future of generations to come. Jason Brown recognized this from a young age. Growing up with a father who treated everyone, regardless of background and social standing, with the same fairness led Jason to aspire for the same. 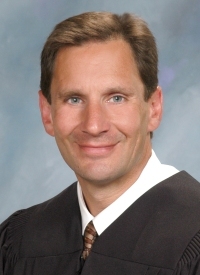 Jason Brown has been an associate circuit judge for the 31st Judicial Circuit since 2006. Another walk of life wasn’t in the cards for Judge Brown. He attended law school after college. He knew a legal background would give him opportunities he otherwise wouldn’t have. When he began doing trial training, his interest and passion was seeded. He practiced for 16 years as an attorney where he witnessed on various occasions victims being treated unfairly or without respect. With the encouragement of peers, Judge Brown took the risk of losing his practice and ran for election. This is a risk many lawyers who would otherwise make great judges opt not to take. The risks outweighed the benefits and he was elected to the bench in 2006. Daily headaches come and go, but Judge Brown enjoys the opportunities being a judge present. The best part of living his passion as a judge is feeling a daily sense of accomplishment. Even though there are always people who will question decisions, Judge Brown hopes people understand and respect his decisions whether they agree or not. He firmly believes in deciding on facts and law, not for artificial reasons like status or relationships. Judge Brown he hopes his lasting legacy is that of a fair judge: someone who listened, treated people with respect they deserved, and gave everyone fair shake and equal opportunity.